Black (1986-1988); Blue (1986-1987); Pink (1986-1987); White (1986-1988). Green and Purple were issued as trials only and not as production colours. 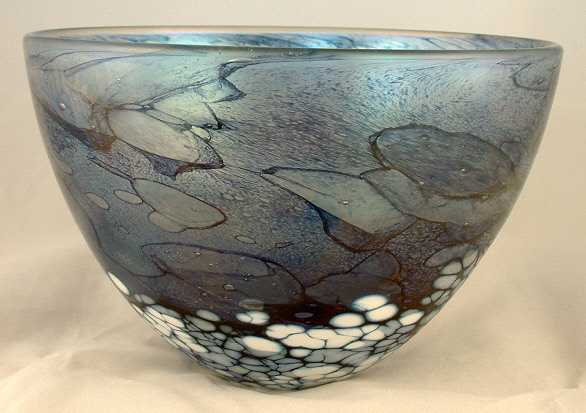 Small bowl, 10 cm high, 14.5 cm diameter. 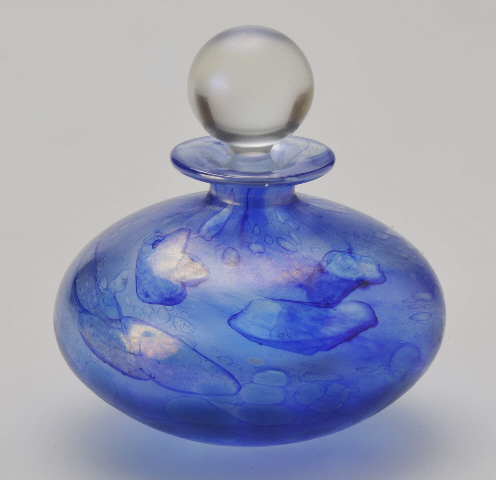 Squat perfume bottle, 10 cm high. 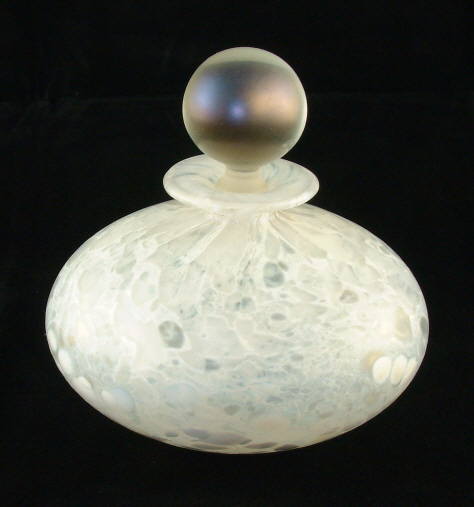 Image courtesy of George Mattei Photography Inc.
Squat perfume bottle base. 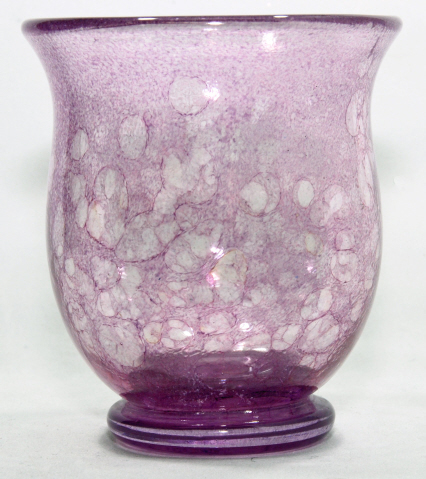 Image courtesy of George Mattei Photography Inc.
Cylinder vase 22 cm high, 7 cm in diameter. This size and shape was made only in 1987 and 1988 and is super-rare in green. There is a triangular label on the base. Image courtesy of Artius Glass. 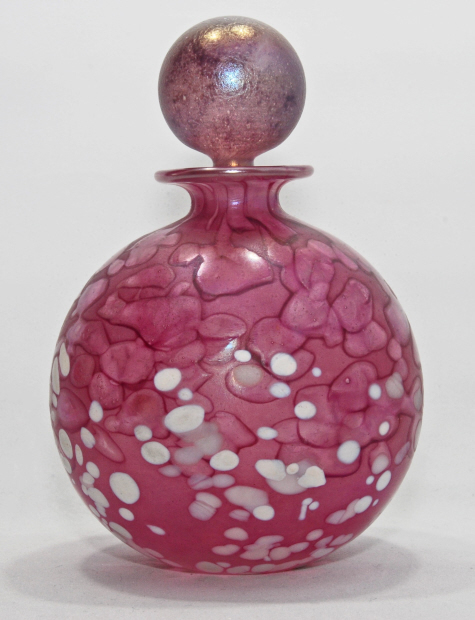 New Kyoto Pink globe perfume bottle, 11.8 cm high, 8 cm diameter. Image courtesy of Mike Collinson. 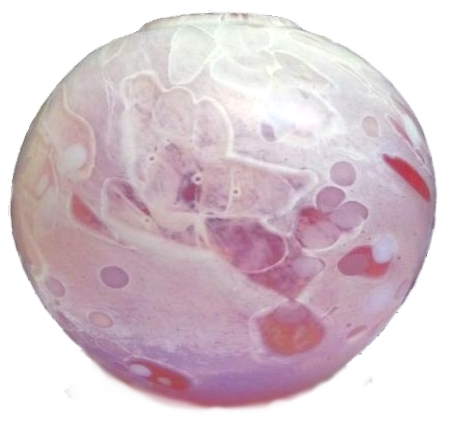 New Kyoto Pink globe vase, 11 cm high x 10 cm diameter, in the more typical pink colourway. 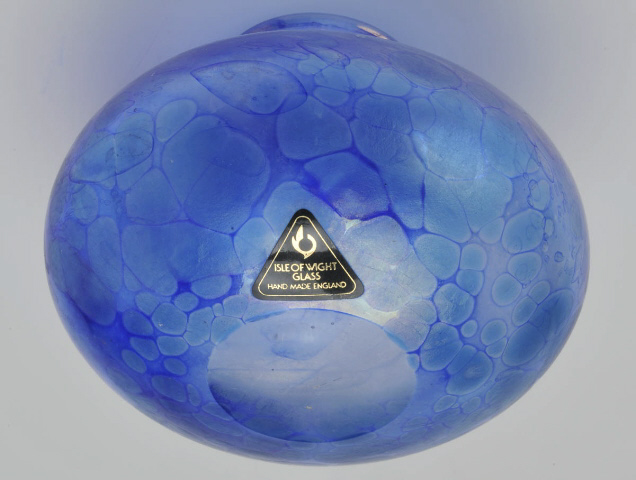 The colour is much less intense than the example immediately above and similar to the colour of the Foster Fernandez perfume bottles made at the same time. New Kyoto Purple trial pot. Image courtesy of Mike Collinson.